Oooh ooh, what a little moonlighting can do for Gov. 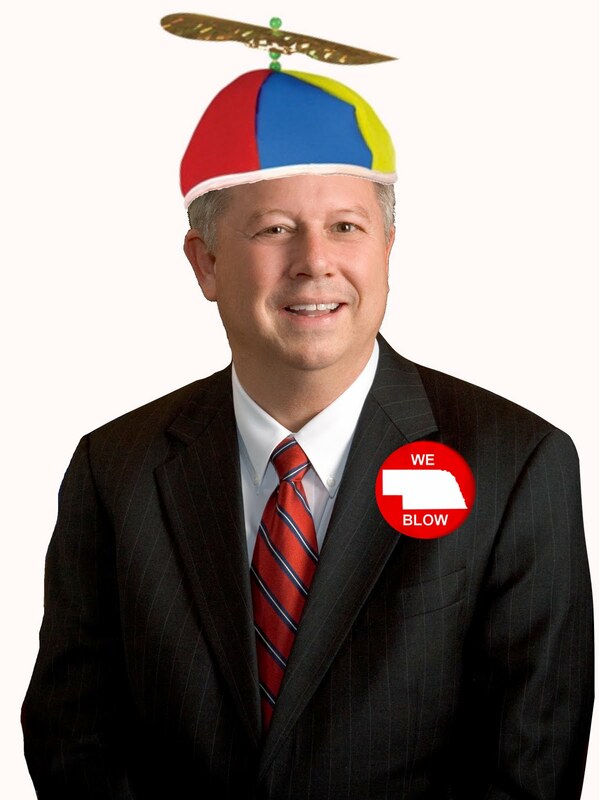 Dave Heineman and, supposedly, the Nebraska economy. Heineman said that passage of a law last spring has removed many of the obstacles for privately owned wind farms, but he asked about 45 officials at the Nebraska Wind Forum what else the state needs to do. "How do we take another quantum leap forward?" the governor asked. "That's where we need your input and advice." The forum was organized to inform private developers of the changes in state law, and make a pitch to develop new wind farms and wind-energy related manufacturing plants. Nebraska has some of the best wind resources in the nation, but has lagged behind its neighbors because of obstacles of allowing private electric generation in a state that only allows publicly owned utilities. Heineman added that the U.S. needs to get serious about reducing its reliance on foreign oil "so our sons and daughters aren't fighting in the Middle East" to preserve the flow of oil. WORD IS Gov. Dave will be making out even better than the state as a whole from the development of wind energy -- meteorological surveys have identified the best "wind field" in the state as being right outside the governor's office in Lincoln. The predominance of hot air in the gubernatorial air mass suggests geothermal-energy possibilities as well, experts say.